The Gays were short interchangable MGB/MTBs. 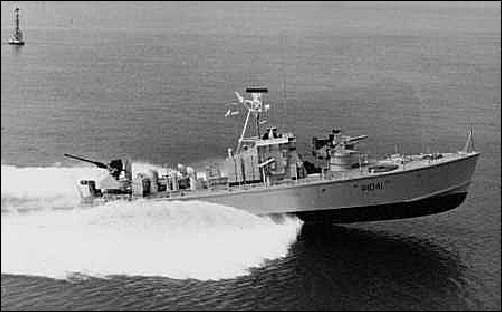 In 1951 the Admiralty ordered 12 Type "B" "Short" Interchangable Fast Attack Craft under conrtact No BR 8E/52143/51 from Messrs Vosper Ltd of Portchester. These vessels were a natural developement from the MTB 538/539 design of WW2 and were ordered as an interim measure until the Type "A" (Dark) became operationally available. 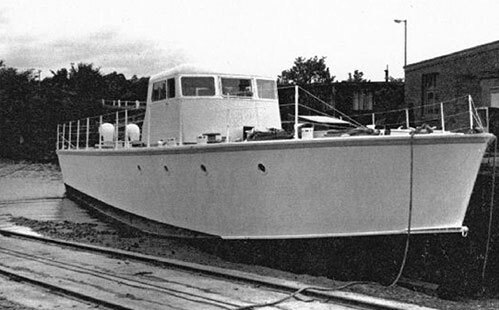 Destined to be the last petrol engined craft for the Royal Navy, they were powered by three Packard 4M-2500 marine engines delivering 1500 bhp each giving a capability of 40 knots. (dependant on armament fitted). Contrary to popular belief these engines were developed from an original Packard design (M-2500) and not the Rolls Royce "Merlin". However, in the early developement to that original design, certain modifications were made in the carburetion, supercharging and crankcase design etc, (as per the RR "Merlin"), and the engines became commonly known (this side of the Atlantic at least!) as Packard "Merlins". 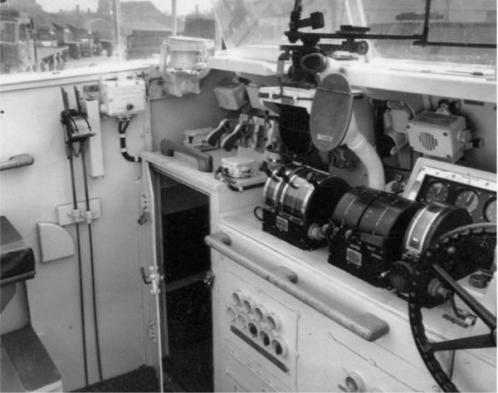 The craft had a Ford V8 powering the main generator, situated on the Starboard side of the engine room. The 'Gay' class had a standard displacement of 50tons with a full load displacement of 65tons. They measured 75ft 2ins in length, 20ft 1in in the beam and had a light load draught of 4ft 2ins. Their normal compliment was 13. Main armament as a Torpedo Boat originally was 2 x 21in Torpedo Tubes with Twin Oerlikons mounted on the Fore mount, this later changed to 40mm Bofors. As a Gun Boat, a 4.5in gun foreward with Twin Oerlikons on the aft mounting (No Tubes). (There is an Image of HMS Gay Charioteer with Tubes and 40mm Bofors mounted both fore and aft, but tests proved that this craft was 'overloaded' and could not be used operationally as such). 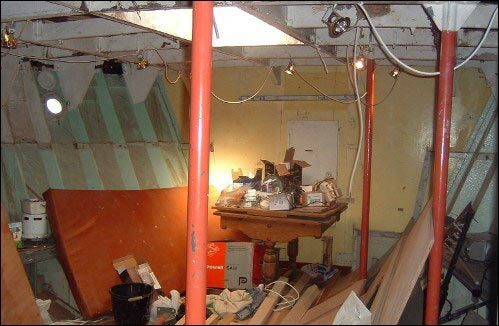 There were five builders including the design contractor (Messrs Vosper Ltd). Vosper built 4 craft: Gay Archer P1041. Gay Bombardier P1042. Gay Bowman P1043. Gay Bruiser P1044. Messrs Thornycoft (Hampton) built 2: Gay Carabineer P1045. Gay Centurion P1046. Messrs Taylor (Chertsey) built 2: Gay Cavalier P1049. Gay Dragoon P1050. Messrs Morgan Giles (Teignmouth) built 2: Gay Charger P 1047. Gay Charioteer P1048. Messrs McGruer (Clynder) built 2: Gay Fencer P1051.Gay Forester P1052. 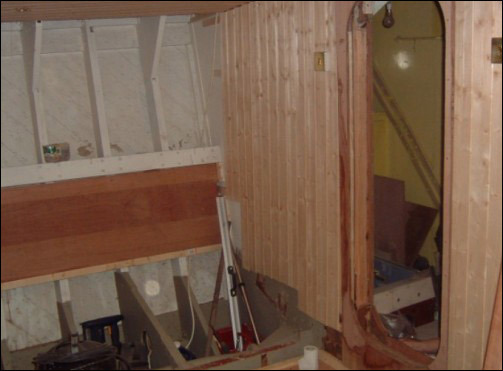 All were built between August 20th 1952 (Gay Archer launched) and March 23rd 1954 (Gay Forester launched). 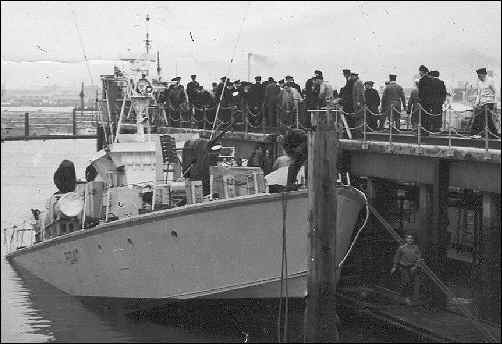 HMS Gay Dragoon. This vessel appeared in some shots as the fictitious "1087" in the film "The Ship That Died of Shame" starring Richard Attenborough. She was sold off in 1961. HMS Gay Fencer. She was relegated as a Target Vessel and sunk off Portland on April 10th 1968. HMS Gay Archer. Her fortunes are somewhat are mixed. 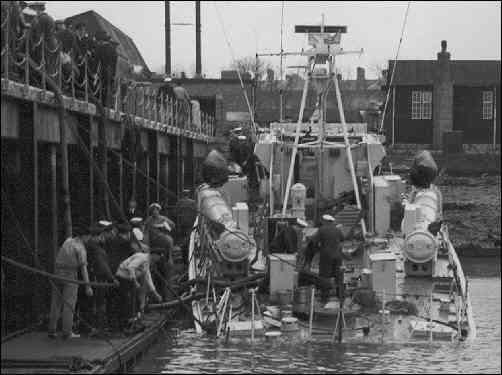 She had her Hull punctured when on her 1st delivery to the RN by the Vosper Ferry Crew. On May 18th 1953 she was damaged by fire in Aarhus Harbour, Denmark, whilst moored alongside MTB P1023 – (this vessel being lost in the fire and explosion). She was almost sunk off Southsea Pier in the incident that punctured her casing. Happily she has undergone a complete restoration, back to a very close resemblance of her RN configuration, and is currently based at Watchet Harbour. Somerset UK. HMS Gay Charioteer. 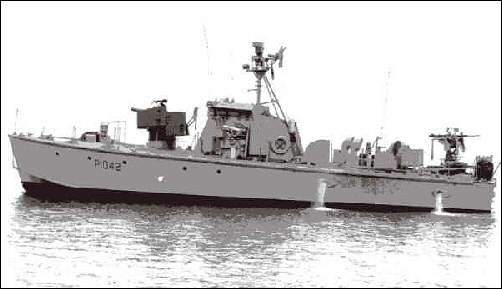 This boat was converted to a High Speed Target Towing vessel in 1959. Based at Devonport she finally entered 'reserve' in 1964 and was sold off in 1972 (eventual fate unknown). HMS Gay Charger. The Right Honourable Nigel Lawson, former Conservative Chancellor of the Exchequer, was a Commanding Officer of this aptly named vessel (subject of a superb model by Mr E Childs- see ‘Modelling’). Eventual fate unknown. HMS Gay Bombardier. 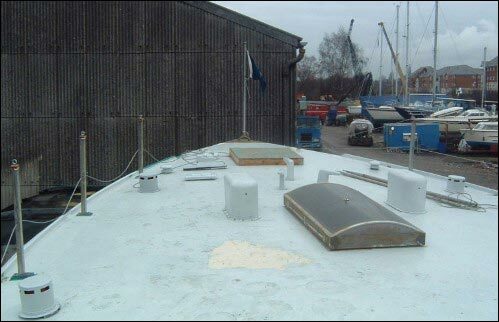 After being sold from the Penton Hook Yacht Marina to a private individual, she was seized and confiscated by the Italian Customs in the mid 60’s– the eventual fate of this craft is not yet known. 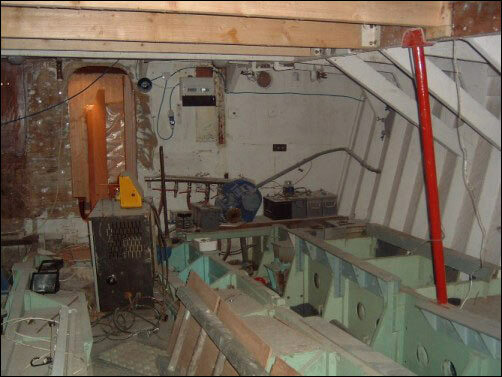 Another, but much converted 'Gay' class, was seized by Spanish Customs Officials during a smuggling run from Morocco. After some use by the Spanish Customs (to 1976) she was subsequently rebuilt from the Hull up and passed over to the University of Cantibria at Santandar. Spain. This vessel, then known as the ‘Iorana’ and running under a Panamanian Flag, was re- named Nebli II by the University and reported to be in immaculate condition up until the Summer of 2005. Unfortunately she was rammed by a Spanish Naval Tug and crushed – sunk, subsequently raised – but deemed to be a total loss and broken up. 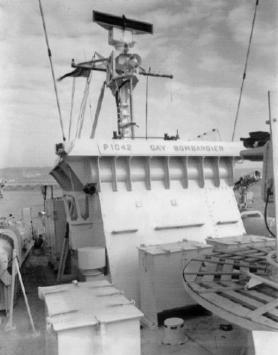 There is some evidence of 4 Gay class vessels having been refurbished and converted to Gas Turbine propulsion by Messrs Wessex Power Units Ltd.
HMS Gay Cavalier, HMS Gay Centurion, HMS Gay Bruiser and HMS Gay Bowman were reported to have been at Messrs WPU yard during the early ‘60’s – 2 of the ‘converted’ craft were to be sold on as P1 and P2 for the Italian Customs Arm but their individual RN identities are as yet unknown. Pictures above and below: Two RN Lts had decided to row across from 'Vernon to 'Dolphin in a dingy one night. They didn't make it! On discovery that they were missing the next morning, HMS Gay Archer was despatched to search along the coastline between Portsmouth and Hayling Island. Being unsuccessful in the search 'she' attempted to return to 'Hornet by the same reckoning as she had departed, through a gap in the boom defence pylons, but owing to a Tidal drop she fouled a submerged broken pylon which took out an 'A' frame with a prop being pushed up through the casing. She started to settle right opposite Southsea Pier but with a quick reaction to the 'Mayday' signal, the boat was saved by an Admiralty Tug. (Pictures courtesy of William Farr and Ted Else). Gay Bombadier around 1953\4. A lovely shot of the class with twin Oerlikon armament for'ard, again with out a soul topsides but close examination shows that the Ford V8 generator is running so someones 'on watch' down below. Gay Bombardier's bridge viewed from for'ard. The 'Bandstand' for the Twin Oerlikons can just be seen.